The Minnetrista + McKinley Neighborhood Action Plan (MMNAP) is a project being developed by Ball State University graduate urban planning students. The basis of this project is to create a neighborhood action plan for the Minnetrista + McKinley Neighborhoods in Muncie, Indiana. This project is comprehensive in that it can be considered an extension of the recently established Muncie Action Plan (MAP). Specifically this project relates to the MAP Initiative 4 Action 14, which calls for the creation of development plans for each neighborhood. By utilizing this plan as a tool, the neighborhood can now self-organize to complete both goals for itself and goals for Muncie as a whole. The empowerment of the people is one of the key aspects of community planning. Over the course of this project, the students were innovative in refining the skills learned from their previous experiences along with developing new skills. During the project students engaged and lead neighborhood public meetings as well as created and developed initiatives for specific goal groups through public participation. Students learned how to inventory an urban neighborhood and identify its strengths and weaknesses. 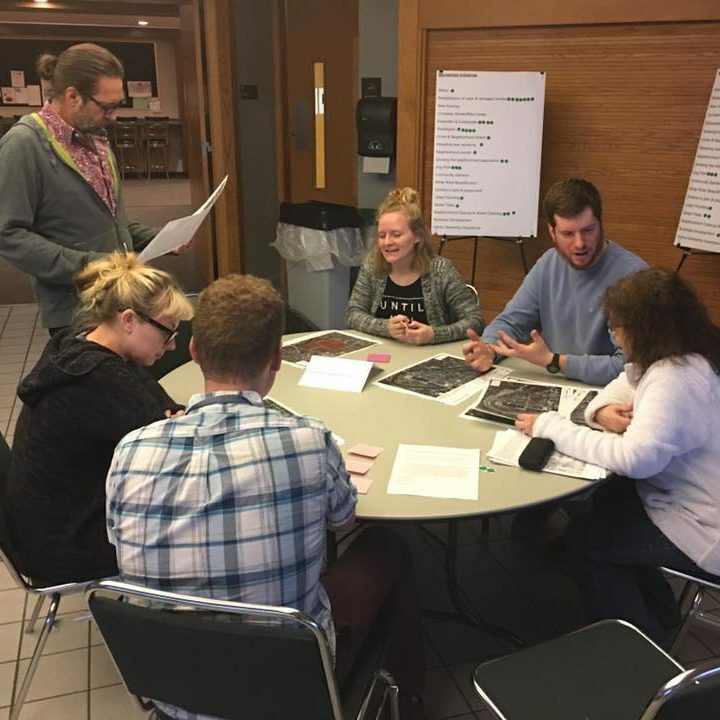 Students designed and executed a neighborhood survey to residents. Students learned how to analyze both qualitative and quantitative data and transform this into knowledge and information for planning purposes. Students will be able to perform key person interviews. Students learned how to prepare a neighborhood plan with input and participation of neighborhood residents. One of this plan’s many innovative qualities is how transferable it can potentially be. The techniques and methods used to create the plan can be applied to nearly any other neighborhood or community. These methods have already been successful in creating previous neighborhood action plans for other Muncie neighborhoods.